Recent and on-going armed conflict in Mali has created a problem of weapon and explosive contamination which is impacting on the civilian population and stabilization efforts. Explosive Remnants of War (ERW), Improvised Explosive Devices (IED) and landmines are adversely affecting livelihoods, freedom of movement and economic recovery, as well as the safe deployment of national and international forces and extensions of state authority. The United Nations Mine Action Service (UNMAS) deployed mine action staff to Mali in January 2013 in the immediate aftermath of the crisis in order to conduct an emergency assessment of the situation with regards to explosive threats and to assist the Malian authorities in critical areas such as Mine Action and to provide coordinated assistance, expertise, training and equipment to the Malian Defence and Security Forces (MDSF). In 2016, UNMAS awarded a contract to The Development Initiative (TDI) to provide fleet maintenance for vehicles in northern Mali, one of the toughest theatres in the world. For this contract, TDI has sub-contracted Global Clearance Solutions (GCS) to provide the experienced “Lead Mechanic and Workshop Manager for remote locations” for the duration of 12 months. GCS has provided a highly skilled and experienced Field Technician who provided support services to TDI that consisted of: establishment of workshops for light and heavy, armored and soft skin vehicles, plant and equipment; inspections, maintenance and repair of vehicles; supervision, training and quality control of workshop mechanics. 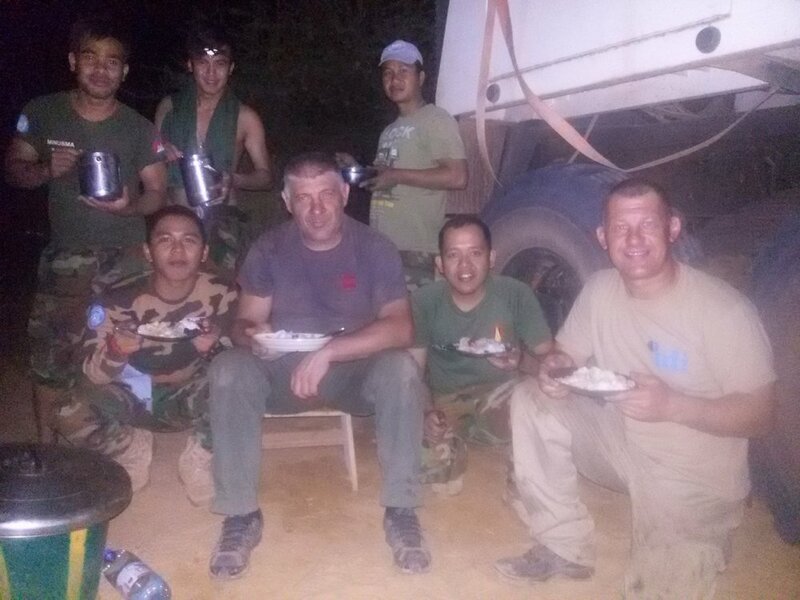 Staff from MINUSMA, TDI and GCS take a well deserved break after another successful day's work in Mali. TDI was able to provide repairs and maintenance in four key locations in Mali to ensure the continual delivery of humanitarian support in Mali through the MINUSMA and UNMAS missions. Thanks to the successful cooperation, TDI decided to extend this contract in 2017 for additional 12 months of support services in Mali.